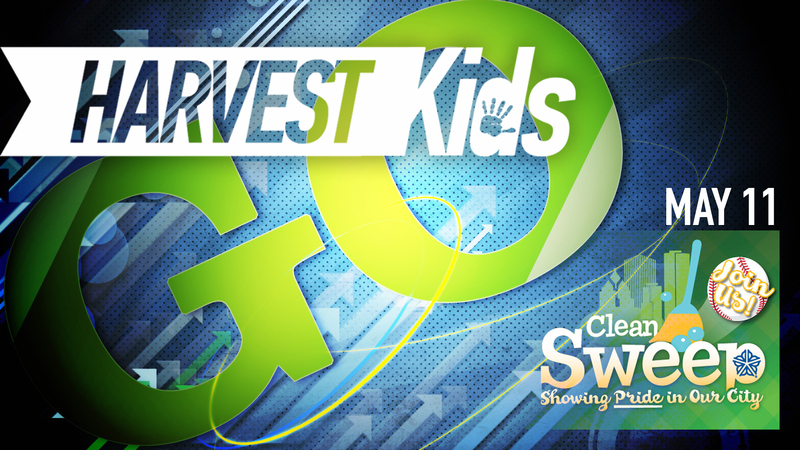 We are excited to announce a family event for all Harvest Kids and their families to participate in! We will be participating together in the Rochester Clean Sweep on Saturday, May 11th. Clean Sweep Saturday will be held from 8 a.m. to noon on Saturday, May 11 and begin at Frontier Field. Volunteers will gather to collect a free Clean Sweep t-shirt, eat a light breakfast and get their assignments before heading out to project sites in city neighborhoods. Mayor Warren will greet the volunteers and pose for a group photo. Harvest Kids will be registering all our families with the city as a group, so we need to know by Monday, April 29th if you are coming! Sign up TODAY!